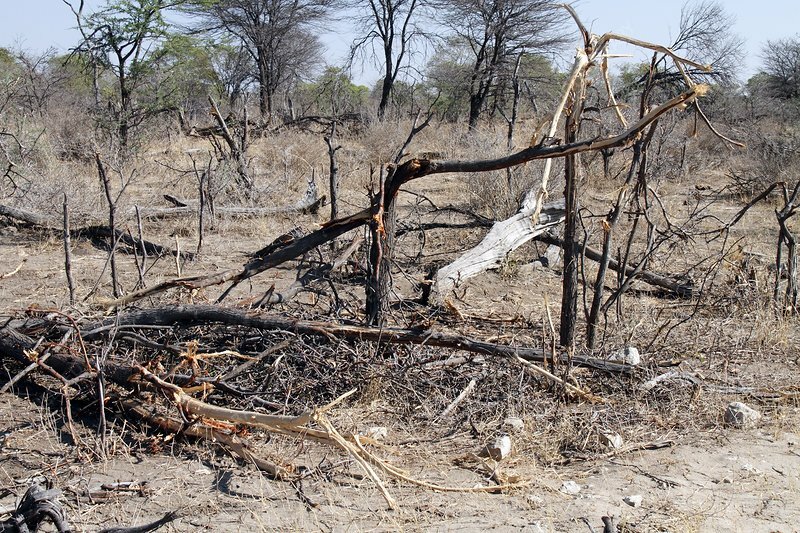 Trees that have been damaged by African elephants (Loxodonta africana). Elephants will often wander out of protected zones and destroy human settlements or crops. This is a cause of conflict between elephants and humans.